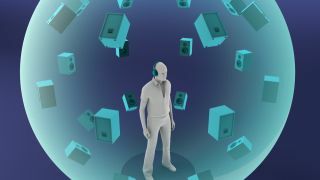 Spatial sound is perhaps the most necessary key for absolute immersion in a game, virtual reality or otherwise. Yet, actually bringing the technology to apps and games is a challenge. But Google has a plan to make it much easier. By teaming up with Firelight Technologies and Audiokinetic, two companies that have had a hand in bringing useful audio tools to developers, Google has introduced a new plugin that will make creating and incorporating spatial sound as easy as a few clicks. The suite of tools is now accessible through FMOD and Wwise and thankfully, it isn’t reserved for just the developers who are making experiences for Google Daydream, though of course, it is perfectly suited for the platform. It integrates seamlessly with the Unity and Unreal engines and can be used to bring even more realism to games created for Android, iOS, Windows, OSX and Linux. If you’ve played games like Alien: Isolation or Resident Evil 7, you probably are already aware of the power of spatial sound. It can sound (in these cases, to a worrying degree) just as real life would sound if you were being stalked by horrid creatures. You can hear footsteps on the ceiling above you. The faucet that’s letting out the one-off drip sounds just as dreadful and annoying as you know it to in your own kitchen. This plugin brings these audio superpowers to developers so that the sound adjusts in real-time depending on where you’re looking, as well as where you are within the environment. It might not seem like a big deal, but just wait until you’ve experienced it. Simply put, even more games are going to sound amazing.